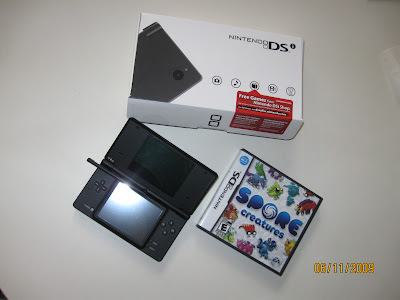 This is my currently new bought Toy, DS Nintendo the latest version. 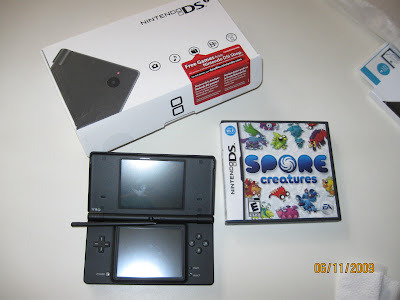 This is also what I bought for the first paycheck I ever received. It feels so good when you work hard and at the end of it, you have your own income that way you won't be able to rely or depend into your husband income. Well, I do share the bills now and I am not worry about it. That's how and what's gonna happen when you are married, you should both share everything. But, I couldn't bring this toy at work for some might be able to steal this kind of gadget. So that means, this will only for home, and other places where I think it is safe to bring. I love it. It is handy and fun. nice though di ko kabalo unsa na pagdula. hahaha.